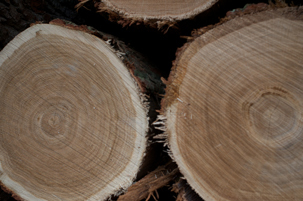 As reported by several specialized online press, according to China's Quality Supervision, Inspection and Quarantine Announcement No.143, 2015 imports of the species of ash associated with a die-back disease (Hymenoscyphus pseudoalbidus) can be resumed provided the timber undergoes high temperature treatment. Ash products must be accompanied by a plant quarantine certificate issued by the exporting country and this must provide details of treatment. Ash sawnwood from areas where the die-back disease is not found must also be accompanied by a phytosanitary certificate. Designated regions and countries where ash die-back is endemic are listed in the announcement No.156 in 2013 jointly issued by the quarantine office and the State Forestry Administration”. List of designated countries: Poland, Lithuania, Latvia, Sweden, the Czech Republic, Germany, Denmark, Estonia, Belarus, Slovakia, Romania, Austria, Norway, Russia (Kaliningrad), Slovenia, Switzerland, Finland, France, Hungary, Italy, Croatia, Belgium , the Netherlands, Great Britain, Ireland, Ukraine.